Who can imagine that a Save Darfur coalition vocally including Al Sharpton (“we know when America comes together, we can stop anything in the world”), Mia Farrow, the US Conference of Catholic Bishops, Elie Wiesel (“Darfur today is the world’s capital of human suffering”), Nat Hentoff, Bob Geldof, George Clooney, Angelina Jolie, Harold Pinter, Oprah Winfrey, the gold-medal speed skater Joey Cheek, Tony Blair and Dario Fo might be profoundly shallow in its reading of the brutal warfare in Sudan five years ago… and just as wrong-headed in its drum beat for an American intervention? 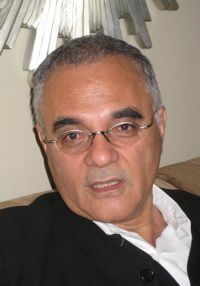 Mahmood Mamdani can. We are talking here about his book Saviors and Survivors and his argument that the Darfur rescue campaign, which became a sacred cause of our civil religion, was not so much the moral alternative to Iraq, the Bush “war on terror,” and Cheney-think as it was a variation and extension of the same toolkit. I begin with a sort of confession that I may be a sample of Mamdani’s problem — having drenched myself in Nicholas Kristof‘s New York Times columns and largely absorbed the common framework that Darfur was about Arabs slaughtering Africans, and that somebody had to something about it. If you represent my problem, then I think you also represent my solution. If you interviewed Nicholas Kristof, then you participated in shaping to some extent that audience which is the constituency of Save Darfur. I need to get to that audience because I need to turn a sermon into a debate and a discussion. I need to sow some seeds of doubt about what have been presumed to be simply goodwill gestures. I need to convince that audience that there is a politics around this — not simply good intentions and moralism and a fight against evil. I need to tell them that there is no such thing as a trans-historical evil in the world in which we live; that, in fact, all violence without exception has causes, and the causes are historical. And if you want to do something about the violence, we need to do something about the causes. The idea that violence is its own explanation is an idea which will take us nowhere except into a cycle of violence. Mahmood Mamdani in conversation with Chris Lydon in Boston, April 2, 2009. What held the Save Darfur campaign together? In his book, Mamdani concludes that inside the hyped numbers and moral spin was a sort of conspiracy of prejudices and neo-imperial impulses to head off the unity and independence of Africa. The Save Darfur lobby demands, above all else, justice, the right of the international community — really the big powers in the Security Council — to punish “failed” or “rogue” states, even if it be at the cost of more bloodshed and a diminished possibility of reconciliation. More than anything else, “the responsibility to protect” is a right to punish without being held accountable — a clarion call for the recolonization of “failed” states in Africa. In its present form, the call for justice is really a slogan that masks a big power agenda to recolonize Africa. Mahmood Mamdani, Saviors and Survivors: Darfur, Politics, and the War on Terror., p. 300. Pantheon, 2009. Mahmoud Mamdani, the Herbert Lehman professor of government at Columbia, is a socio-historical anthropologist of Africa and also of American media and fashions in public wisdom. He is taking apart American attitudes that took hold around Iraq and the so-called “war on terror” and that will surely affect our path to Afghanistan and the Obama team’s reconception of our American place in the world. I loved this conversation as a short course in how to think like an anthropologist — how to peel back events to find unwritten rules and unseen implications in a social order — Africa’s and ours. Listen for the ideas here that reach beyond Africa, anger and accustion. The most challenging may be the argument that “survivors’ justice” (“inside” repairs, modeled on South Africa’s “truth and reconciliation” process) comes to seem much more promising than “victors’ justice” (“outside” punishment, as in the Nuremberg Trials, and de-Baathification in Iraq) as means of reforming politics and remaking broken societies.